Established in 2016 after years of coaching and developing athletes in another program, Ironclad was born out of necessity. Head Coach and founder, Jake Elkins, sought to create a positive and fun environment that brings the best wrestlers under one roof to learn high-level technique and let iron sharpen iron. 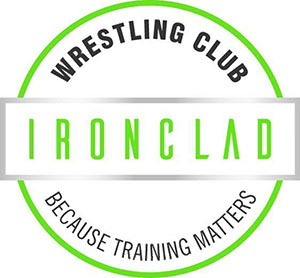 Quickly, Ironclad has developed a reputation as a character first atmosphere that develops champions at all levels. Just 12 months after opening its doors, the club crowned eleven members as 2017 AHSAA State Champions and boasted 13 finalists. At a youth level, Ironclad is interested in fun, friends and then finally fundamentals – not youth world championships. Building self-confidence is paramount. Wrestling provides its own intensity. Our goal is to make sure kids have a positive experience and foster a long-lasting passion for the sport so that they may experience the long-term benefits the sport has to offer. The world’s oldest sport is also it’s greatest because it can be a catalyst for development wherever you are most deficient. Wrestling is good for a young man’s soul. There is no equal in the development of self confidence, accountability, self-discipline, athleticism, or work ethic. Those who have wrestled know best how true this is. For young boys, wrestling serves as the perfect balance between the athletic development of gymnastics and the physical prowess of football – without all the stereotypes. Here’s a short list of why you want to wrestle. Life is an individual sport – and so is wrestling. However, your individual success helps the team. The sport is age and size appropriate – divided by weight classes. No more small guys tackling the big kids – altho they’ll be able when we’re done. Bully proof. No matter their size, wrestlers are able to take care of themselves and others around them. However, the humility of losing in practice tends to keep grapplers from preying on others. Flexible and individualized schedule. Travel, compete, practice when you want. The team doesn’t suffer. No sitting the bench at a club level – everyone gets a chance to be the star position player. Promotes healthy lifestyle – clean eating, drugs/ alcohol/ tobacco free. Daily exercise, personal development, etc. From NFL to MLB, NCAA to UFC, wrestlers are heralded across for their relentless work ethic, footwork, body control, hip explosiveness, and most importantly – their mindset. Consistently, wrestlers outclass their peers in pound for pound strength, athleticism, work ethic and mental toughness. The beauty of wrestling is that anyone can do it. Technique beats power and timing beats speed so brain is just as important as braun. The challenge is sure to have your son thinking faster, moving more efficiently, and maintaining focus when faced with pressure.